supported employment and PACT Services. We are excited to announce that we no longer have a waiting list for an intake. from 8 a.m.- noon. 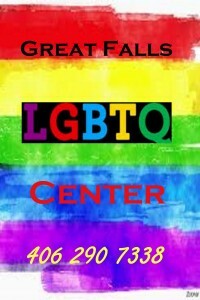 It is first come, first served at the Center for Mental Health, 915 1st Ave. S.
If you have any questions, call 761-2100. Nominations for 24th Annual Salute to Women are now open. Nominations are now open for the 24th Annual Salute to Women – celebrating women of achievement in our community. In our continuing efforts to ‘Empower Women’ by celebrating women of achievement in our community, nominations are now being accepted for the 24th Annual Salute to Women award celebration. Honorees will be recognized for their contribution to their professions, areas of interest, community or the well being of society. If you would like to nominate an outstanding woman in any of the six categories, forms are available at the YWCA – 220 Second Street North or via email ywcagreatfalls@bresnan.net. The deadline for nominations is Friday, August 7, 2015, and can be delivered to the YWCA or emailed to janet.ywca@bresnan.net. Save the date so you can join us on the evening of Saturday, September 26, 2015. The YWCA of Great Falls will present the Salute to Women awards ceremony honoring six outstanding women from the community and the 2015 Power of Sisterhood Mentees from East Middle School at the Meadowlark Country Club. The YWCA Board of Directors makes this event memorable for the honorees and all who attend. Tickets go on sale August 17th. This year’s Summer Institute will be held in Great Falls, MT on August 6, 7, & 8. Three different workshops, along with lodging and food add up to a fantastic opportunity for professional development and networking. The more workshops you sign up for, the more discounted your price! Despite its profound therapeutic value, nondirective play therapy is widely misunderstood by the public and often an intimidating endeavor for play therapists. This workshop will provide a foundation on common theories that drive nondirective play therapy, along with interventions that empower your client to be the “captain of the ship.” Play therapists will leave this workshop with a renewed confidence in their “1st mate” abilities along the play therapy voyage. Graduation or concurrent enrollment in a Master’s level psychology program is a pre-requisite for this workshop. Observation, Interaction, Expression – the fantastic benefits of playing within a group for therapeutic growth! This workshop provides the participants with the opportunity to synthesize Sand Tray Therapy with Group Dynamics. Self-expression is magnified by observing others, assessing information, and adjusting behavior. Interacting with others through play enhances self-awareness. Group-based play therapy interventions add breadth and depth to therapeutic growth. Participants will have opportunities to work with partners, small groups, and the large group to enhance group applications and process using Sand Tray Therapy techniques. Prior learning of both Group Dynamics/Process and the Basic Methods and Theory of Sand Tray Therapy are highly recommended and will greatly increase the participant’s ability to apply the content of this workshop. While divorce is a cultural norm, it has clear psychological impact on children. Play therapy is a valuable way to help children process divorce. The emotional intensity of caregivers (litigation, high conflict, etc) can create obstacles to treatment. This workshop will teach play-based interventions to use with the child, review the play therapist’s role, and explore how to “stay on course” in response to high caregiver conflict. Dancing Mindfulness class about movement.